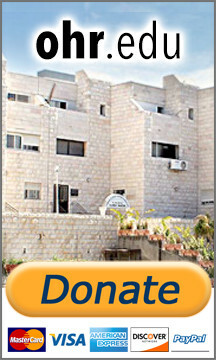 Every day Mordechai would walk in front of the courtyard of the women's residence. For Mordechai to walk in front of the women's court every day was certainly not a pleasant act. But he persisted in doing this because he wanted to know how Esther was doing. The Midrash says that HaShem said to Mordechai, “You sought the welfare of one person; as reward, I will make you the leader and you will seek the welfare of the entire nation.” Indeed, the last verse in Megillah states, “For Mordechai the Jew was King Achashverosh's deputy, the leader of the Jews, and accepted by the multitude of his brethren, seeking the good [welfare] of his people and speaking peace to all their descendants.” According to this Midrash, Mordechai merited to become the leader partly because he cared for one single individual, i.e., Esther, who was his wife. There is a very important lesson here: HaShem judges whether a person is worthy of being a leader by how he behaves in his "small actions." A great Jewish leader is one who cares for the small needs of the individual, unlike many of the non-Jewish leaders who are concerned only by the newsworthy great problems of the entire nation. Both Moshe Rabbeinu and Dovid HaMelech were shepherds and were tested in their concern for every sheep in their flock. When HaShem saw their devotion and care for even humble sheep, He declared them worthy of being leaders of Klal Yisrael. Mordechai’s daily walk in the courtyard was devotion to just one person to his wife but it was a display of genuine concern for another person and therefore made him worthy of caring for an entire nation. There is a saying, "A great person is measured by how he behaves toward little people." This Midrash is a demonstration of this idea. Rashi cites the Midrash that Mordechai had a very compelling reason to walk around the palace grounds. He anticipated that a great miracle would be occurring imminently and he was waiting to see it happen. Mordechai, who knew that there is no such thing as a coincidence, knew that HaShem would not allow a righteous woman like Esther be taken to the evil king unless there was a very important reason. He also knew that there can be no greater reason than a miraculous salvation of Klal Yisrael. Therefore, he walked outside the palace daily, waiting to discover the great salvation he was sure that would occur through Esther being taken by Achashverosh. 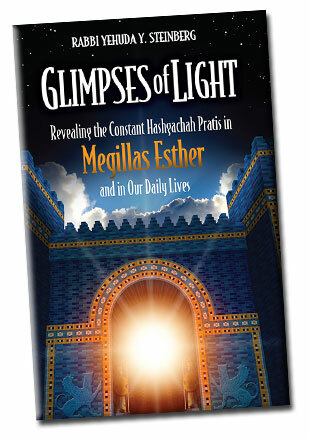 This is an integral part of the lesson of Megillas Esther: there are no coincidences and everything that happens is all HaShem's plan to help Klal Yisrael, His beloved nation. Therefore, it is natural that Mordechai HaTzaddik, who lived with this awareness and actually anticipated the miracle years before it happened, brought about the great miracle and lesson of Purim. Mordechai was not the only one who had this great awareness. Rashi tells us that Dovid HaMelech too lived his life with this outlook. Dovid HaMelech shepherded his family’s sheep for many years before he became the king of Klal Yisrael. He was once simultaneously attacked by a lion and its two cubs and a bear with its two bear cubs and he was able to kill them all. When the wicked Golias, the Pelishti giant who was a mighty warrior, armed with the most up-to-date weapons and steel armor, challenged Shaul HaMelech’s army to find someone who would be able to fight him, Dovid stepped up to the challenge. When Shaul HaMelech tried to dissuade him, saying it would be impossible for Dovid to win, Dovid related to Shaul that he had once been attacked by and yet had prevailed over wild beasts. Dovid told Shaul that he had always known that HaShem had arranged this incident to strengthen him so that he will then be able to bring salvation to Klal Yisrael by prevailing over another dangerous foe. He now realized that the danger, Hashem had prepared him for, was Golias and HaShem wanted to give him the confidence through fighting off wild beasts to be able to fight Golias. And Dovid HaMelech fought Golias and miraculously won. Although for years Dovid HaMelech had not been given an explanation why the incident with the wild animals occurred, he had complete confidence that it was a Divine plan. He knew that HaShem must be arranging something good. When he discovered what it was, he was able to utilize the incident to encourage him and give him the inner strength to save Klal Yisrael from the terrible menace – Golias. This is part of the lesson of Purim: to be aware that every incident occurs through Divine intervention. Anything that happens is part of HaShem's plan to help Klal Yisrael. My father shlita added the following remarkable insight. Both incidents Esther being taken by Achashverosh and Dovid HaMelech being attacked by wild beasts were terrible and greatly distressing incidents. Esther, a righteous Jewish girl who had suffered orphanhood her entire life and was now happily married to the greatest Jewish leader in Klal Yisrael, was literally kidnapped by a horrible and evil king, forced to spend years of her life with him. This would seem to be a tragedy beyond words. Dovid HaMelech was rejected by his family, sent out his house and forced into becoming a shepherd, lonely in the fields, and then was attacked by a whole group of wild beasts. He could have felt that even HaShem seemed to be against him. These incidents could have caused bitter and unhappy thoughts. Yet not only did these incidents fail to give rise to bitterness, both tzaddikim, i.e., Mordechai and Dovid HaMelech, were so confident in HaShem's kindness that they were sure a great salvation was developing, and they waited with eager anticipation to experience the miracle they were sure was about to happen. Both Mordechai and Dovid could have easily viewed the incidents in a different light. Mordechai could have thought that Esther’s marriage to Achashverosh was a punishment, or he could have decided that the reason is beyond his comprehension. Instead, Mordechai is confident that a great miracle is about to occur. Dovid HaMelech’s reaction is similar. Instead of nursing bitter memories, he looked back at this incident as a wonderful experience of how HaShem illustrated to him his great powers so that he would eventually use them for the good of Klal Yisrael. When righteous people undergo an unpleasant experience, they are able to focus on the positive, eventual outcome and not get caught up in being bitter about the upsetting circumstances. Not only should one be cognizant of the fact that all events are Divinely ordained, but one should cultivate such an acute awareness of HaShem's great love for Klal Yisrael that he is absolutely sure that even the worst incidents are all out of love for the sake of helping Klal Yisrael.